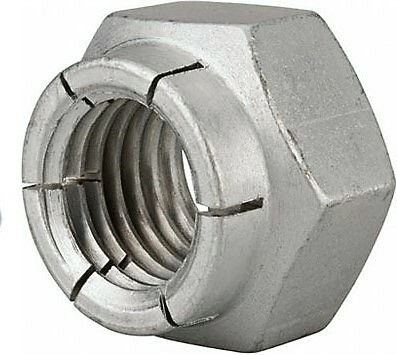 A locknut is a special type of nut that resists loosening from vibrations and torque. One of the most common styles is a prevailing torque locknut. 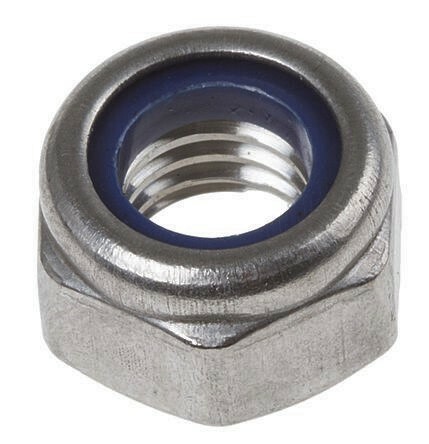 This kind of locknut has a prevailing torque feature which deforms elastically, preventing it from freely spinning like a standard nut. The two most common and reliable forms of prevailing torque locknuts are the flexloc style and the polymer insert lock nut. A flexloc nut is all-metal in composition with a segmented collar that creates six “locking fingers,” that act as a spring. Polymer insert lock nuts are often referred to as nylon insert locknuts, although various high performance polymers can be used for the screw threads to “bite into.” Both flexlock and polymer insert locknuts are available in both hexagonal and 12 point configurations. Distributes load evenly due to the fact that it is manufactured as one solid piece. Is THE most reliable all-metal self-locking nut. One of the only all-metal lock nuts that is certified to 15 cycles of prevailing torque – which is military standard. Various polymers inserts available (Nylon, Vespel, PVDF, etc.) for higher temp. or corrosive applications. 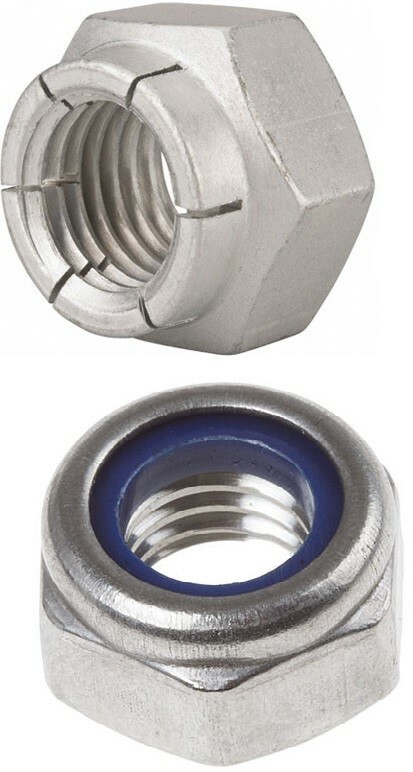 Other all metal lock nuts available include the stover and elliptical styles. Though these styles are often a cheaper initial cost, they are less reliable than the flexloc style. As these styles delivering less prevailing torque cycles and often result in more failures, the flexloc style is a better investment for both reliability and cost savings.